Jan Nimmo was born in Campbeltown, Argyll. She still regards Kintyre as home. Her parents, Neil Nimmo and Jean McCulloch, both local to Kintyre, had an important influence on how Jan sees the world today. Neil, who left school at 11 to work on farms near his birthplace of Drumlemble and went on to work as a miner, lorry driver and shotfirer, was an enthusiastic painter of seascapes in his spare time. Jan's interest in art and manual labour stem back directly to her father. Jean, her mother, worked part time in local shops including the book shop. Jean instilled a sense of fairness in Jan which she believes still underpins and guides her work today. 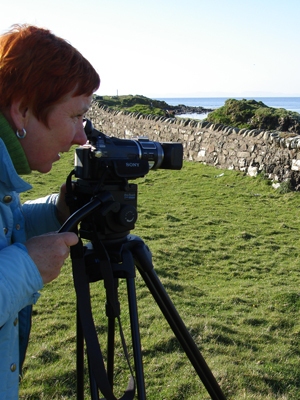 Jan left Campbeltown when she was 17 to study at Glasgow School of Art where she graduated with Honours and went on to complete a Postgraduate Diploma. She became a professional artist and designer in 1986. Since then Jan has worked as an artist, exhibiting paintings, woodcuts and installations regularly. She also works as a designer and has sold textile designs in the UK, Australia, Hong Kong and New York. Her interior design commissions include a Mexican restaurant complete with artefacts and popular art which she sourced herself in Mexico (trading fairly). She has worked on many graphics and illustration projects. Jan started to travel to Spain in 1986 and since then has returned to University to study Spanish. She is now fluent in both Iberian and Latin American Spanish and has often worked as an interpreter for Latin American visitors on speaker tours. As well as travelling through many regions of Spain, Jan has travelled extensively throughout Mexico and Cuba where she has researched popular arts and music. In 1998 Jan met banana workers Doris Calvo and Carlos Arguedas and this encounter was to be the catalyst for Jan's Green Gold project. The aim of the project has been to highlight the iniquities of the international banana trade through personal narrative and different visual arts media. It is a long term project which Jan continues to work on today. Her involvement led Jan to work with Banana Link as that campaign organisation's Scottish Coordinator for almost 8 years, but under her own initiative she has made field trips to Costa Rica, Panama and Ecuador to do research and gather testimonies for Green Gold. 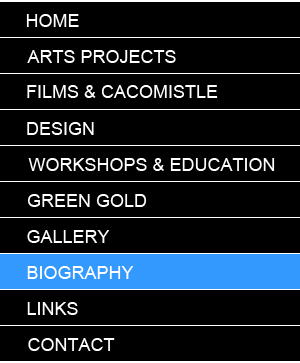 It was through this project that Jan started making documentary films. Her most recent addition to the project is a series of film testimonies and photographic portraits from Cameroon in Central Africa. Jan's films have been screened and broadcast internationally and both Bonita: Ugly Bananas and Pura Vida have won awards. She is a member of Glasgow-based voluntary film collective, Camcorder Guerrillas. 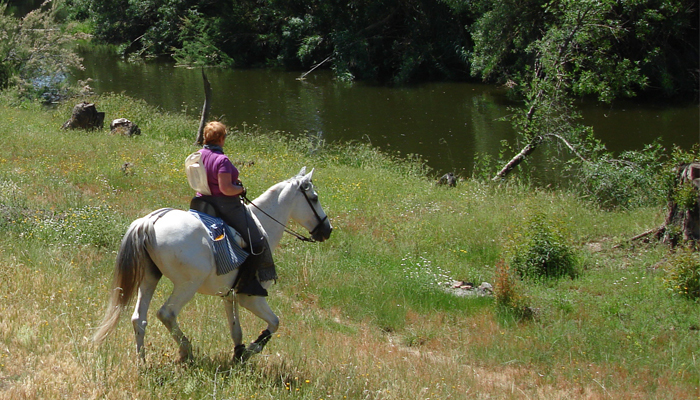 After riding again in Costa Rica, Jan rediscovered her love of horses and in 2005 took a "life's too short" decision to buy Chaparro, a five year old Andalusian gelding, in Cazalla de la Sierra, Spain. Jan had ridden as a teenager but had never been able to afford her own horse. In 2006 Jan moved Chaparro to Galaroza, Sierra de Huelva, where is he is still stabled. 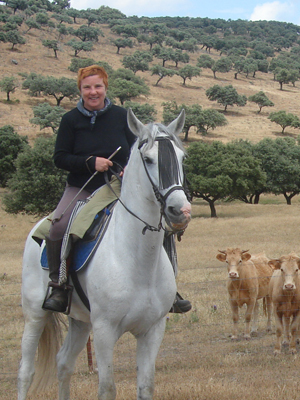 Now a regular visitor to the area, Jan's long hours in the saddle mean that she has gained an intimiate knowledge of the Sierra, as far as Portugal in the west, the province of Badajoz to the north and east through the hills to the town of Zufre. Jan is currently gathering portraits of local smallholders, their livestock and produce as part of her Lie of the Land project. 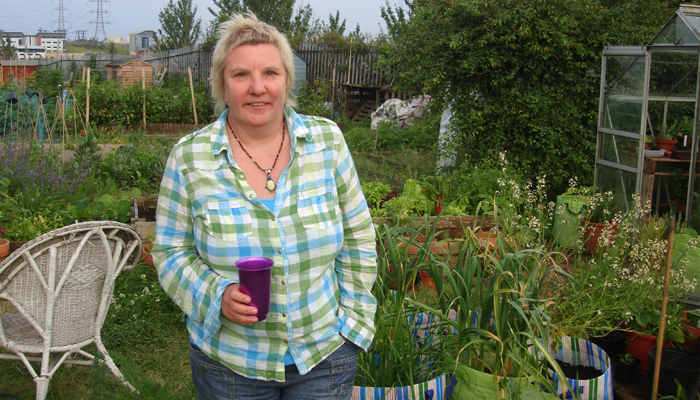 Closer to home, Jan works an allotment in Glasgow with her husband, architect Paul Barham. Community engagement is central to Jan's work and and she feels strongly that the role of artist is more than just producing work - the artist has to participate and facilitate other people having a voice through art. Jan has worked on many participatory arts projects over the years - with school children and people of all ages with a wide variety of complex needs.